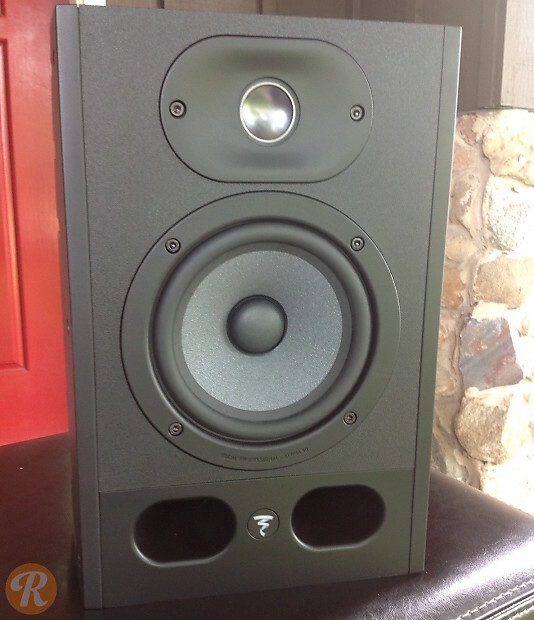 Focal's Alpha range of studio monitors is a budget-minded line which was designed for smaller studio environments which are not acoustically optimized. 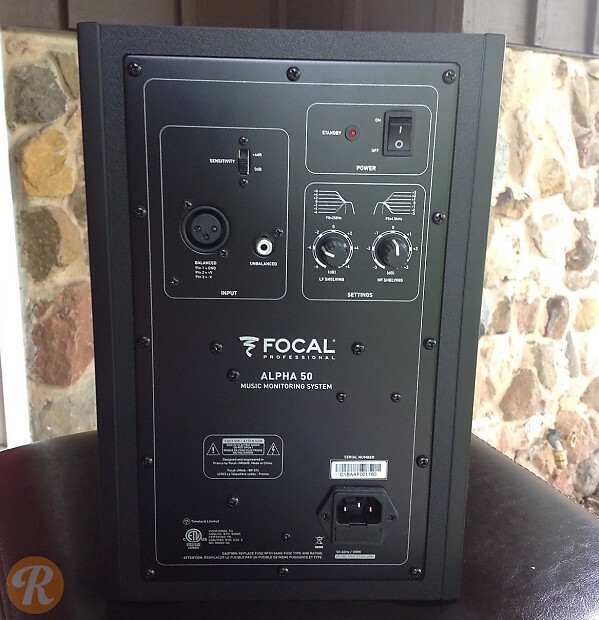 Dual front ports allow placement very close to a rear wall without the need for extensive bass trapping. The Alpha 50 uses a 5" woofer and a 1" inverted dome tweeter. Amplification is Class A/B, with 35W to the woofer and 20W to the tweeter.